“When I’m talking about traffic, and many other top experts are talking about traffic, we really mean readers… listeners… or watchers…” – Derek Halpern in If You’re Looking For More Traffic, STOP! Blogging isn’t really all about traffic. 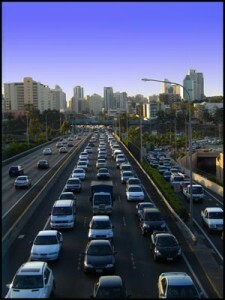 We talk about traffic here at Ghost Blog Writers. The great folks that write your blog posts each week work hard to bring traffic, leads and sales to your blog, website and business. And you know what? It’s always been about finding the right kind of traffic for your site. In the article linked above Derek discusses readers in the context of finding people that are part of his target customer segment. He doesn’t want most people to even read his stuff because those people are never going to buy anything from him or help him grow his business in anyway. You don’t want those readers either. You want people that will be interested in what you have to say. You want people that will buy in to what you’re creating on your website as you build a relationship of mutual trust. You want those readers to purchase from you so that they’ll be happy and you’ll be happy when you make a profit. That’s how blogging should work. But it doesn’t always happen this way. Derek shared a story about his entertainment blog. Let me share a couple of my own stories on the topic. Country Music Life is a place for country music fans to discover new country songs. The site launched in the spring of 2010 and after six months was bringing in some pretty good traffic. We’re talking 50,000 visits per month. All this traffic was coming from search and social with the large majority coming from search. I thought I was rocking the country music world, but after a little bit of time I realized that the traffic wasn’t really worth anything. People were visiting the site and finding music, but they were just looking for a single song. They would listen and then they would leave. What I really wanted to accomplish on the site was for people to subscribe and come back to discovery new songs all the time. In order to do this I had to switch focus. No longer do I focus on the traffic. It’s all about getting subscribers for the email list. These are the people that really care about the site and its content. These are the true readers or subscribers or buyers. This is the group that matters. Ghost Blog Writers and Lions? There is an odd bit of traffic that comes in to GBW. Over two years ago the post – Develop a Blogging Voice and Personality – was published. It’s a pretty good post. There are some things I’d change now, but it’s pretty good. For the longest time – a few months at least – I thought the post was one of the most popular on the site. After a little digging I found that the post was indeed getting lots of traffic to it, but the majority of the traffic was coming from Google Image Search for the term “lion roar”. That’s right. People were searching for an image of a lion roar and they were finding the image I used on the post (from Flickr Creative Commons). It’s easy to get caught up in the traffic game. It’s exciting when you get traffic coming in like crazy, but you and I both realize that in the end it’s all about the right kind of traffic. For your blog the focus is on readers, subscribers and buyers.